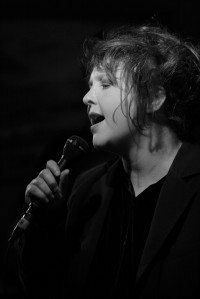 A vocalist, songwriter, manager and recording artist with experience spanning more than three decades, Corinna is a fully qualified and highly experienced Teacher, holding full Teacher Registration with the Victorian Institute of Teaching. Corinna studied music as part of her secondary education and then as part of her tertiary studies at the University Of Melbourne. In addition to holding a double degree as a Teacher-Librarian, Corinna also completed an Advanced Diploma of Music Industry (Business) at N.M.I.T. in 2008, giving her an expansive knowledge of music copyright, contracts, marketing, event and artist management. Corinna was awarded the Dux award for Best Student in 2007. Professionally, Corinna has sung in a wide variety of cover and original bands. Her strengths lie in the soul, blues and rock genres, although she has sung every genre from classical to metal. Her original independent rock band, Liminal, is in the post-production phase for release of the band’s debut E.P., having previously released several singles and tracks on compilation albums. The band’s first single, Galaxy, was reviewed as being “something of a lost art” and Corinna’s vocal style described as one of “effortless beauty”. Corinna has performed and recorded extensively, with appearances at countless venues including the Melbourne Town Hall, Hard Rock Café, Athenaeum and Hi-Sense Arena. Corinna worked solidly in the covers scene for a decade, performing material by artists such as Aretha Franklin, James Brown, Renee Geyer and Janis Joplin. Some of Corinna’s career highlights to date include singing live on M.T.V. with the group Magic Circle Club, finalists in the 1991 Yamaha Rock Awards, spontaneously performing with soul veteran Wilson Pickett at the Palais Theatre and creating her own record label, Phonoscope Productions, in 2007. As a Vocal Teacher and Coach, Corinna believes very strongly that vocalists require a solid grounding in excellent technique, to enable them to gain mastery over their instrument. Corinna takes into account each student’s aspirations, learning styles and preferred genres, and works with them in a sensitive, caring and supportive fashion to create a personally-tailored learning programme. Her aim is always to assist each and every student to become the best singer they can be whilst staying true to themselves. Corinna Jane currently has lesson slots available on Tuesdays at High Street Music Preston. Our music lessons service Melbourne’s northern suburbs including Preston, Ivanhoe, Heidelberg, Reservoir, Thornbury, Northcote, Bundoora, Coburg, Bellfield, Kingsbury, Fawkner, Thomastown and Lalor.